A sub-specialty in veterinary medicine involving the study of the function, problems, and treatment of the kidneys. 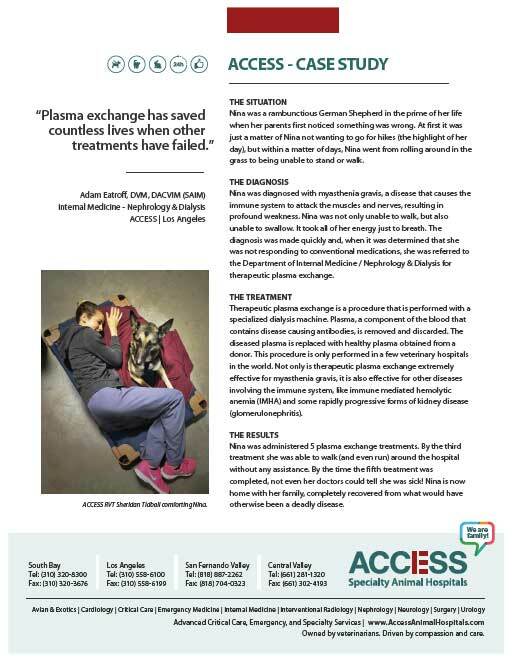 We are pleased to introduce Adam Eatroff, DVM, DACVIM (SAIM), who leads the charge to bring cutting-edge nephrology services to Los Angeles – with the same level of client service and compassionate care for which ACCESS Specialty Animal Hospitals are known! Internal medicine specialists are trained in diagnosing and treating the problems that occur with the internal organ systems such as the kidneys. 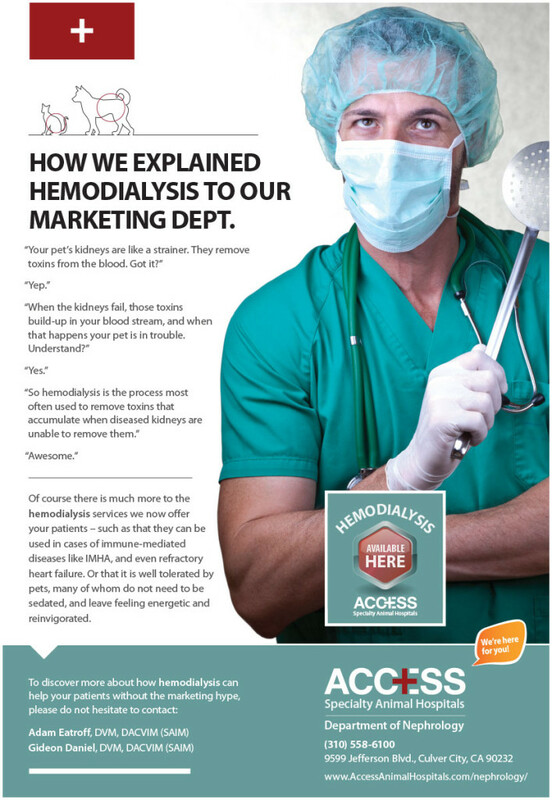 Nephrology is the study of the kidneys, and ACCESS is proud to have two board-certified Internal Medicine Specialists who have a special focus and training in nephrology, and the additional care offerings it allows for, including hemodialysis. Kidneys are the organs that act as filters in the body to eliminate toxic waste in the form of urine – and are vital in a number of different ways, in that they can help control blood pressure, as well as regulate and metabolize chemical elements like calcium and phosphorus. They also help to maintain a good balance of some of the substances in the body like salt and water. When they don’t work the way that they should, as in the case of kidney failure, damage, or disease, the filtration process of toxins is sometimes rendered ineffective, causing significant problems in the body. 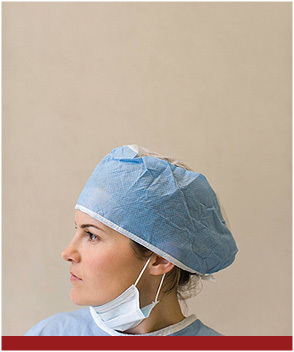 There are many options for patients experiencing problems with their kidneys. From conservative nutritional recommendations to more aggressive medical management and dialysis, our nephrology team is well equipped to handle all of the needs of patients with kidney disease. There are many types of problems that can occur with a pet’s kidneys. While some diseases are acute (i.e. have a sudden onset) and a high potential for reversibility, other diseases are chronic (i.e. longstanding) and require ongoing management with a low likelihood for a cure. And just as there are a number of different problems that kidneys can experience, there are just as many types of treatments and therapies that the nephrology team can employ. Many people are familiar with the process of kidney dialysis in human medicine. Dialysis, in several different types of forms, is available at ACCESS. Dialysis is most often used in cases of acute kidney failure, when toxins need to be removed and the kidneys can’t perform at the level they need to maintain the balance of electrolytes and fluids that are needed to keep a pet healthy. There are a number of life threatening aspects of kidney failure, and when dialysis is brought into the mix early enough, it can help prevent some of these complications. While important to note that dialysis is not a “cure” or something that “fixes” injured kidneys, it is something that can help a pet along, preventing suffering and diminishing health while the kidney takes the necessary time to heal. However, while most people would think of dialysis and immediately think kidney problems, there are other things that dialysis can be used for, literally saving a pet’s life when dealing with acute issues like ingestion of toxins like ibuprofen. It can also be used in cases of immune-mediate diseases like IMHA, and even refractory heart failure. Dialysis is tolerated quite well by patients, as they are kept quite comfortable and warm during the sessions. Patients rarely need to be sedated in any way, and even seem to look forward to the thick bedding, one-on-one attention and care provided by their dedicated dialysis team members, and can leave feeling energetic and reinvigorated. Depending on the reason they are being treated, the length of each treatment can vary from three to five hours, and patients can even seem to have an improved appetite at the conclusion of therapy! While some patients only require a few dialysis treatments before they begin to recover, others may require weeks of treatment before recovery occurs. The goal is to wean a patient off of dialysis and on to medical management as the kidneys heal, and during the transition period the time between the dialysis sessions can increase while the patient’s health is assessed. 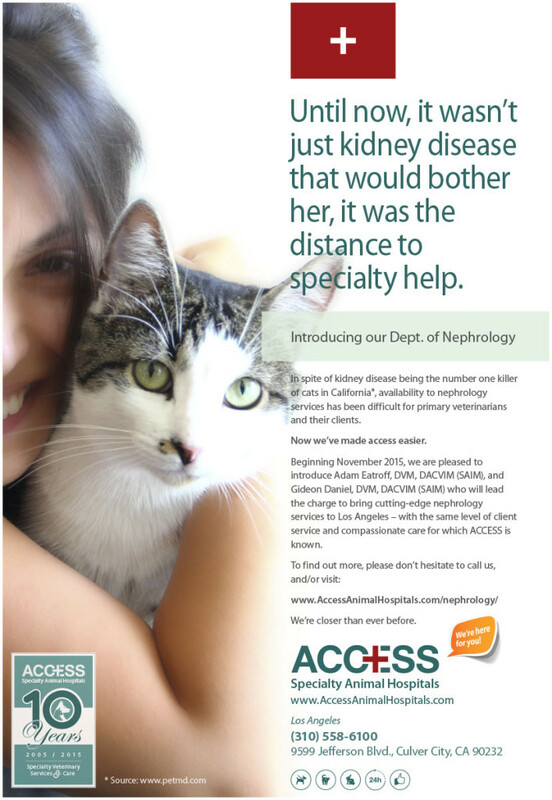 Below are copies of Nephrology advertisements as have appeared in PULSE Magazine.